Kalamazoo Vegetable Parchment Co. Export Dept. Landenbergers Paper Equivalentor and instructional booklet. Only the first image is shown here. 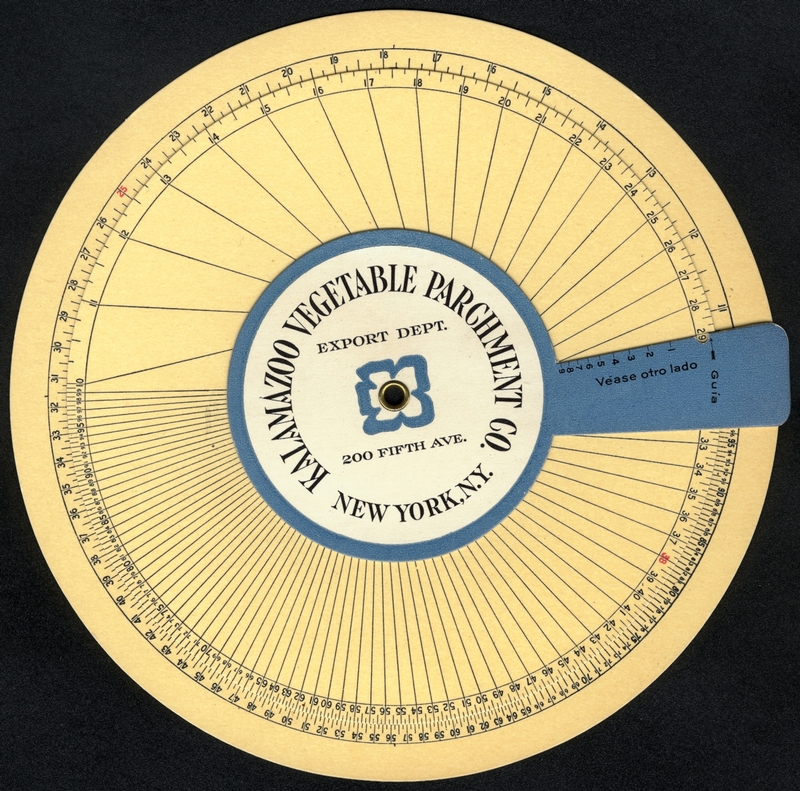 The paper equivalentor includes name of the Kalamazoo Vegetable Parchment Company, Export Department, 200 Fifth Ave., New York, NY.